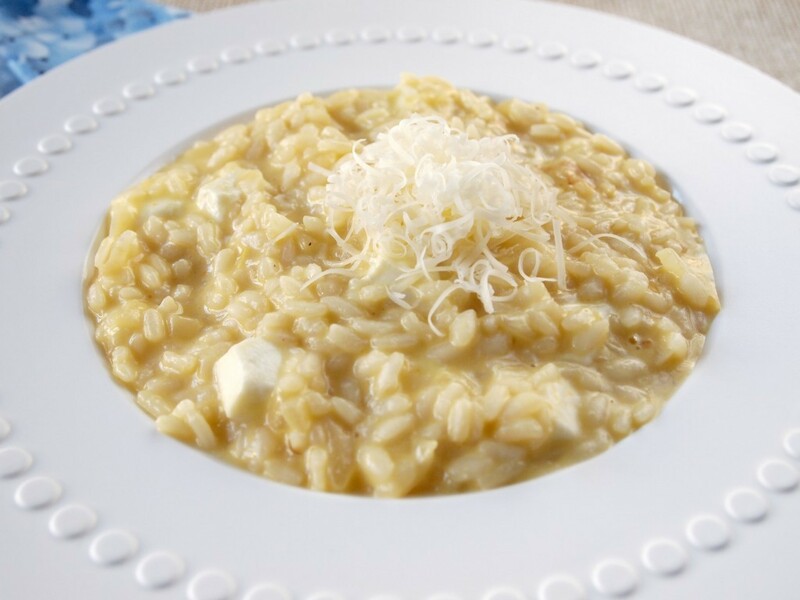 A good risotto is the perfect #MeatlessMonday dish. 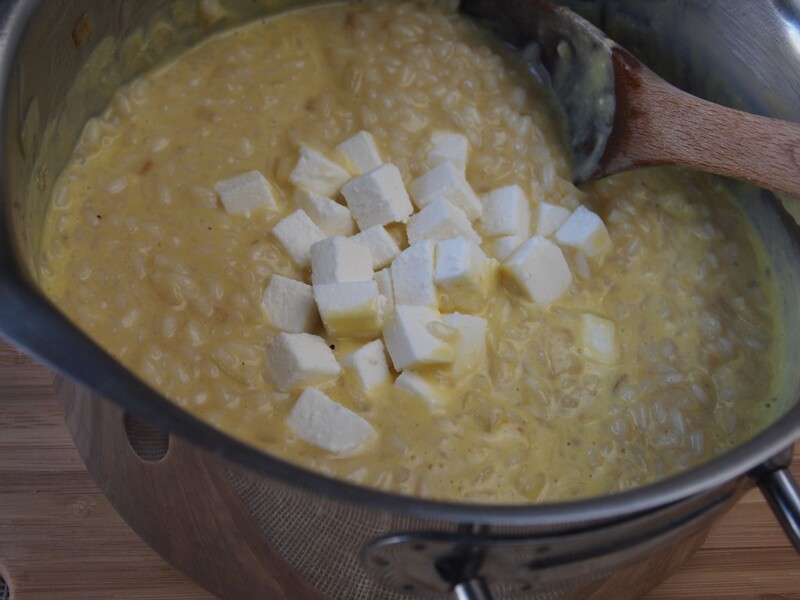 I always enjoy making a traditional and basic Risotto Milanese, but giving it a Peruvian twist with our ubiquitous Huancaína Sauce is also fun. 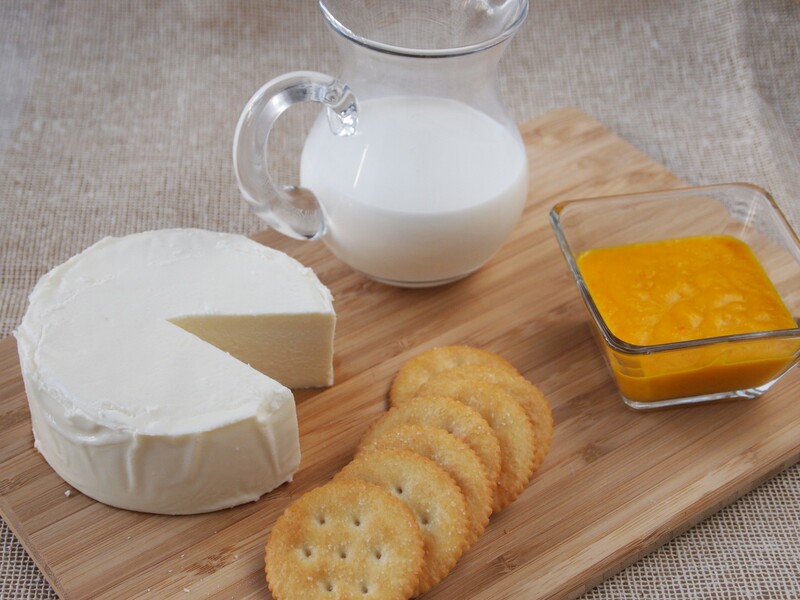 The added flavor gives it the right amount of spice, and the queso fresco and milk make it delightfuly creamy. As always, you control the heat of the aji amarillo (yellow chili pepper), and keep in mind that this recipe is not suited for those on a lactose or gluten free diet. 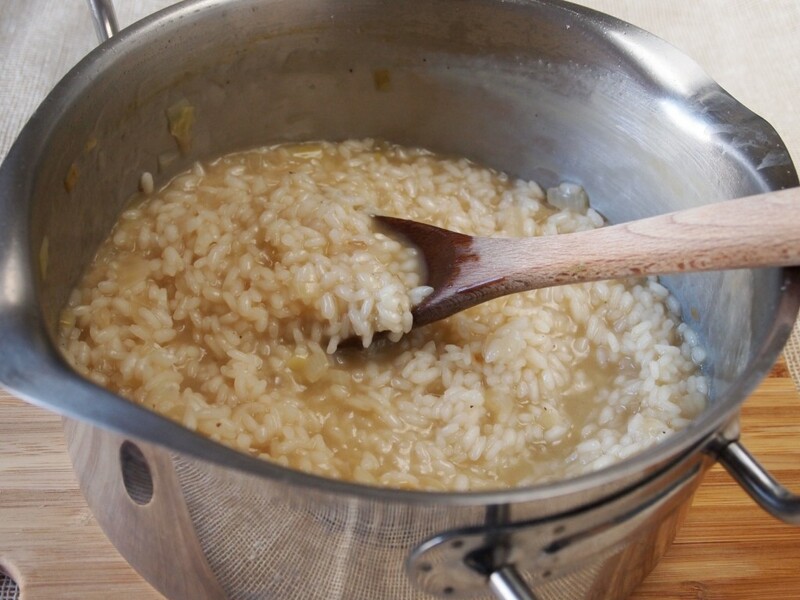 The secrets for a good risotto are: 1.- Use a short grained rice, like Arborio. Don´t wash it before using it, or you´ll throw away the starch that gives it that delicious creamy texture. 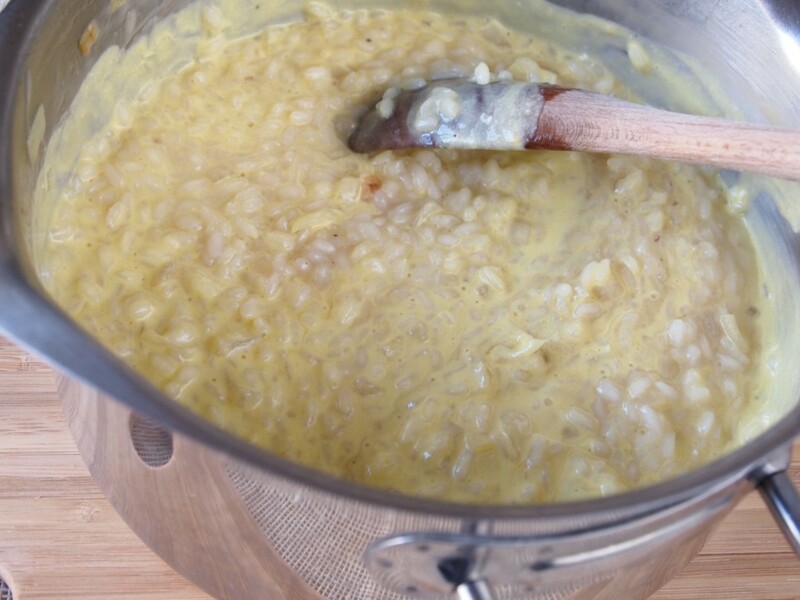 2.- Keep stirring and adding hot stock until the rice has the desired al dente texture. 3.-Do not overcook so the rice doesn’t turn mushy. 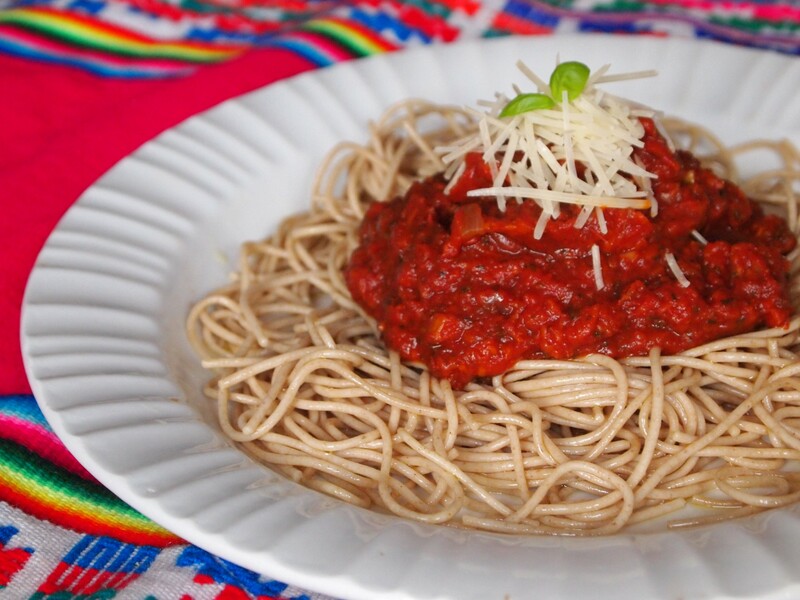 For the Huancaina sauce, go to our recipe for Papa a la Huancaina. 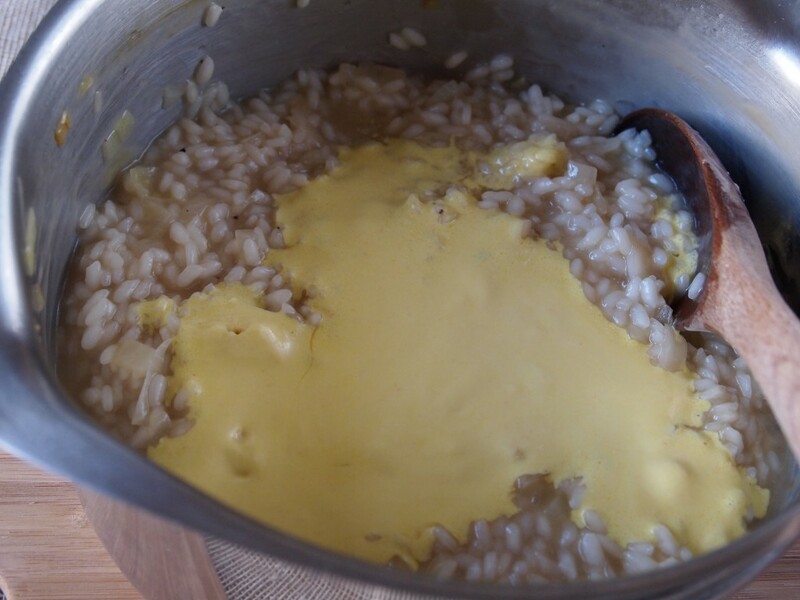 You can also substitute the fresh yellow chili peppers with aji amarillo paste, bought in any Latin American grocery store; and instead of queso fresco you can use any other cheese that won’t melt when added to the hot rice. Just put everything in the blender, process for a few minutes, and the sauce is ready! In a heavy saucepan heat the oil over medium heat, add the onion and garlic, lower the heat and cook until the onion looks very soft. Add the rice, stir, turn the heat to medium and cook the rice for about 5 minutes. 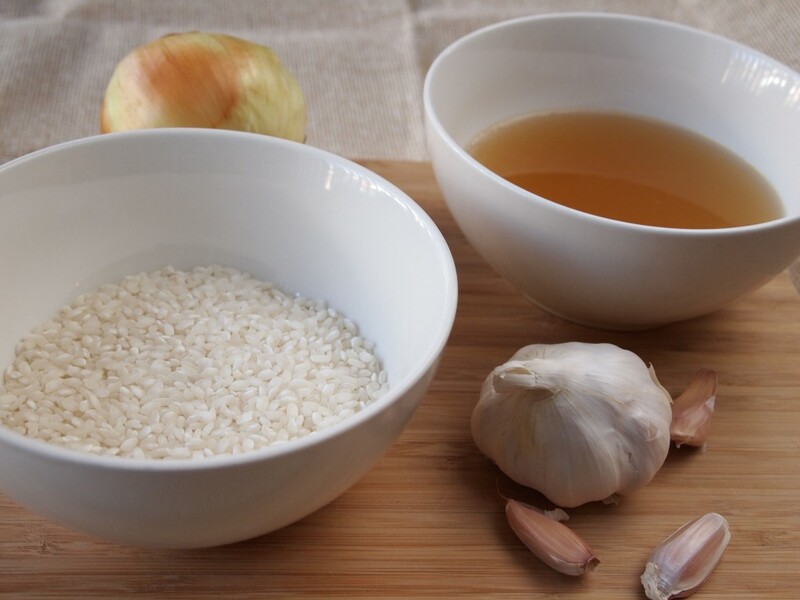 Add the white wine to the rice, stir and bring to a boil, cooking until the wine almost evaporates completely. Start adding the hot vegetable stock, a ladle at a time, and stirring frequently, until the rice is al dente, and looks creamy. Stop adding stock to the rice because it will turn mushy. Turn the heat to very low. Add the Huancaína Sauce to the rice, stir, then add diced queso fresco, and if you want, some fresh herbs. Incorporate 2 tablespoons olive oil, stir and serve immediately. Sprinkle some Parmesan cheese on top of risotto. Amazing! It looks so delicious. I am from Paraguay and I love cheesy rice. This looks so good! I love risotto, pinning this recipe for future use! I tried it today : it’s very very good. I wouldn’t have thought of it without you, thanks ! (even if I used only 3 aji amarillos for the salsa, more would have made the salsa to picante for my taste). 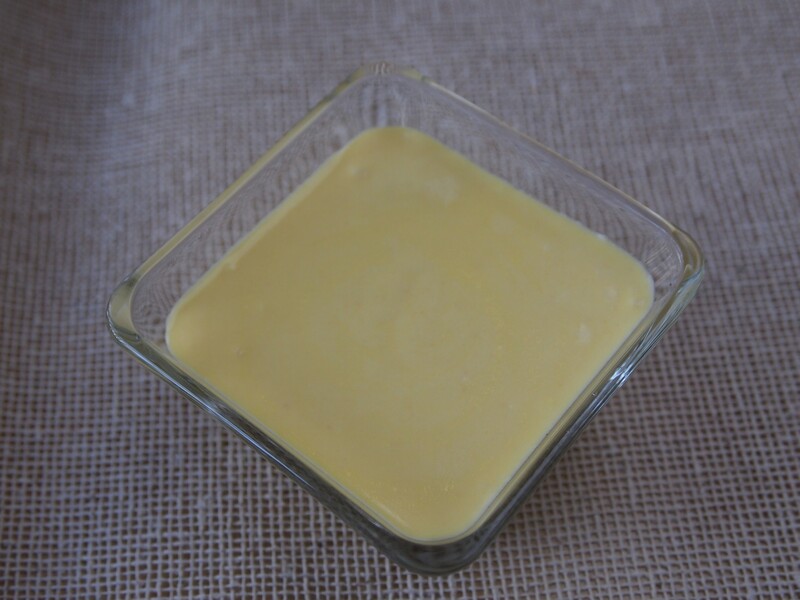 Cédric, you can make this with more ají amarillo but it will need another step. Slice the fresh ajíes, discard seeds and veins and blanch in boiling water for 10 minutes. Cool in a bowl with cold water, and the peel will be very easy to remove. Then you can make the sauce and it will have a wonderful yellow-orange color without the heat of the ají. Thanks for visiting and for letting us know that you liked our recipe.